Nadica and Igor Stancev, two of Europe’s most inventive pattern designers, describe one of the flies they “don’t talk about.” Add this pattern to your fly box and enjoy fishing success. During the summer, fly fishermen usually avoid the hottest middle part of the day; instead, they place their hopes on fishing during the morning and early evening. Although we see few large mayflies, such as Ephemera danica, hatching on the water, there are many other smaller mayflies that are worth imitating. The spinners are especially important because the duns hatch in the afternoon and return to the river before dusk. After hatching, pale-olive duns molt into amber-colored spinners, mid-olive duns turn into orange spinners, and dark-olive spinners have a rusty color. 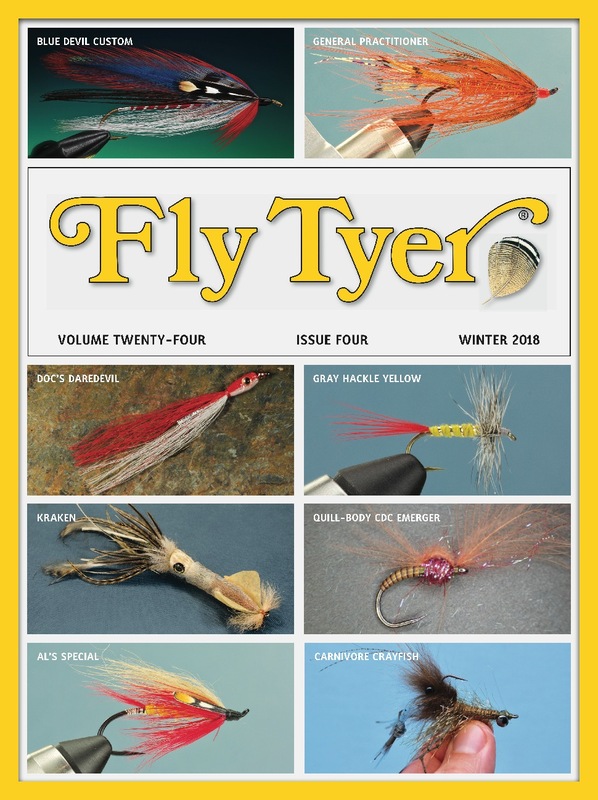 Although there are numerous successful patterns that match these insects, the end of summer, with its low and clear water, is a real challenge for fly fishermen. In these water conditions, the trout have an opportunity to inspect flies more closely and they can easily notice the imperfections in our imitations. During this time of the season, when most fishing is reduced to an hour or so in the morning and an hour before sunset, we recommend a pattern called the Lavender. The Lavender is an extremely effective fly; we know this to be true from our personal experience on the water and from the positive feedback we receive from our fishing friends and customers. One year, a fly shop in Bologna, Italy, ordered 25 Lavenders, but the next season it ordered 400! At first we thought this new order was a mistake, but learned that the fly performed well for catching both trout and grayling. We participate in fly fairs in France, Germany, and the Scandinavian countries. Wherever we travel, anglers ask about the Lavender. In addition to catching trout and grayling in rivers, it is also a fine lake fly. According to one report, the pattern has worked well even on a mountain lake high in the Austrian Alps. The river where we spend most of our time fishing and testing flies flows into a man-made lake. The wild brown trout in this river are not too difficult to catch during May and June, but in July and August, when the water is extremely low and clear, the fishing becomes far more difficult. Although there are still a few trout to catch, we now spend most of our time collecting insects for photography. The photos of these insects help us design better flies.